We use one of the most popular “low force” chiropractic techniques in the world. The instrument and the protocols we use have been in use for decades. The instrument itself has evolved to the model currently used in this practice. This method of analysis is well researched and continues to evolve as our body of knowledge continues to grow. Every year, we attend educational forums to update our knowledge of the science, use and effectiveness of this method to maintain our expertise in this approach, and in the practice of Chiropractic. 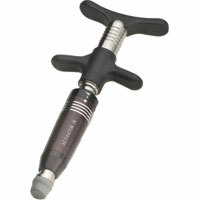 The adjustment with the Activator differs from the manual adjustment primarily in that there is no “cracking” sound/sensation associated with it (and no twisting of the body that is necessary in most manual techniques). Although there is nothing harmful about that “cracking” sound, or the twisting necessary in some manual adjustments (provided by a qualified chiropractor), some people just don’t like it. Many of our patients have consulted us for this specific reason.